Very Kylie-ish move, we'd say! If there's anything that's making news these days, it's 'how Kylie Jenner hid her pregnancy for 9 months!'. Kylie's baby news officially stole Super Bowl and Justin Timberlake's (who performed at the Super Bowl) thunder―what a day to drop the bomb! Well, there have been few Bollywood celebrities too who hid their pregnancy news till the last moment—our ladies are sly AF too! There were a lot of media speculations surrounding Aishwarya Rai Bachchan's pregnancy. She was in the middle of shooting Madhur Bhandarkar's film, Heroine when she let out the news about her pregnancy. When Ash walked the Cannes red carpet back in 2011, people had started commenting on her weight. Few months later the news was finally out, when it was announced that Ash's baby will be born in November that year. 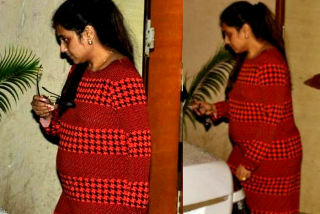 Rani Mukerji's personal life has always been a very private affair. Even her marriage with Yash Raj Films Chairman, Aditya Chopra was also kept away from media attention—so was the birth of her daughter, Adira. Another actress who was pregnant before she got married is Amrita Arora Ladak. She kept it a secret until she tied the knot with her long time boyfriend, Shakeel Ladak, but right after her marriage she readily flaunted her baby bump at various events. 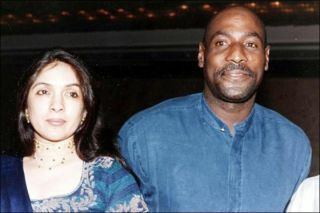 Neena Gupta's relationship with West Indies' cricketer Vivian Richards was another much talked about love affair in Bollywood. They dated each other for years and it was later found out that Neena gave birth to their daughter, Masaba Gupta out of wedlock. Sridevi and Boney Kapoor's love life had been surrounded by controversies since the time they started seeing each other. 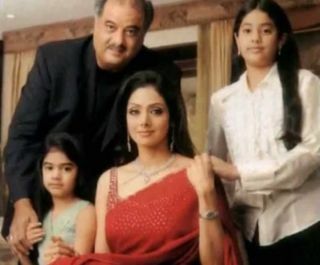 Before they tied the knot in 1996, there were rumours that Sridevi was carrying Boney Kapoor's child. The couple hid their pregnancy till their daughter Jahnvi was born next year in 1997. 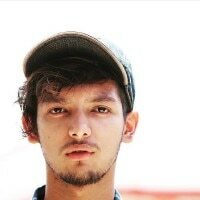 They even kept their second daughter, Khushi Kapoor's birth in 2000 a hush-hush affair.